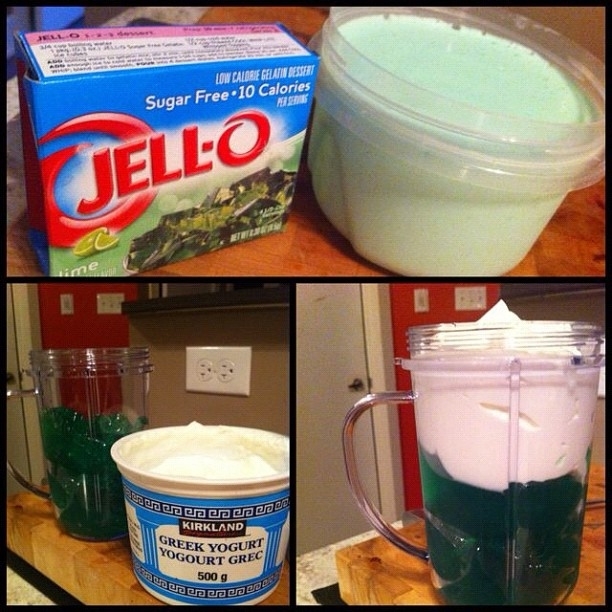 Mix cup of (set) sugar free Jello with cup of greek yogurt in the blender. Put in the fridge for a couple hours and enjoy! Texture is unbelievable, wow!